Once again, I’ve released a movie review episode of my podcast, the All New Showcase. 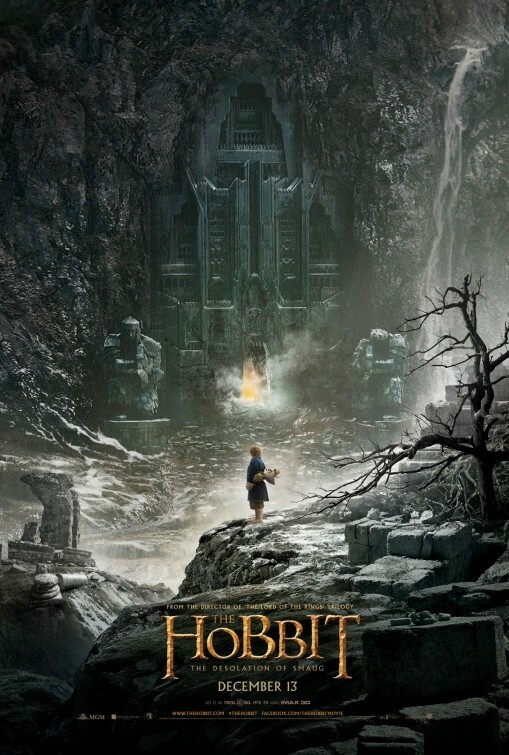 This time out, Jason, Kenny and I tackle The Hobbit: The Desolation of Smaug. In a (mostly) spoiler-free discussion, we talk about how the movie diverges from the book, how they feel about the additions to the original story, and their overall feelings about the film. And what’s cool this week? Jason has been watching Gypsy Sisters, Kenny got a new toy from Japan, and I’m doing my annual re-read of The Autobiography of Santa Claus by Jeff Guinn. Plot: Returning from active duty in Afghanistan, Dr. John Watson (Martin Freeman) is having trouble recovering from a bullet wound, a limp, and post-traumatic stress disorder. His therapist even suggests he begin a blog as a means of coping, but John insists nothing interesting happens to him. While searching for an apartment, an old friend introduces him to consulting detective Sherlock Holmes (Benedict Cumberbatch). Sherlock quickly deduces a great deal of information about John, leaving the man off-balance, but somehow persuades him to accept a flat with him at 221B Baker Street. John is still acclimating to Sherlock when he is called out to investigate a murder. He invites John to join him, and they find an apparent suicide victim, the fourth such in recent weeks. As Sherlock pieces clues together, John is approached by a Detective Sally Donovan (Vinette Robinson) who warns him to stay away from Sherlock, who she believes to be a psychotic waiting to snap. John is summoned into a car by a beautiful woman calling herself Anthea (Lisa McAllister). She takes him to a man (Mark Gatiss) who offers John great deal of money to report on Sherlock’s activities. John refuses and returns to Sherlock, who wants him to send a text to the dead woman’s mobile phone in an effort to trap the killer. The two stake out a restaurant and chase the presumed killer, but instead find an American tourist getting out of a taxicab. Returning home, Sherlock is approached by Detective Inspector Lestrade (Rupert Graves), using a fake drug bust as an excuse to claim any clues Sherlock may have uncovered. As they bicker, a taxicab arrives for Sherlock, even though he didn’t call for one. 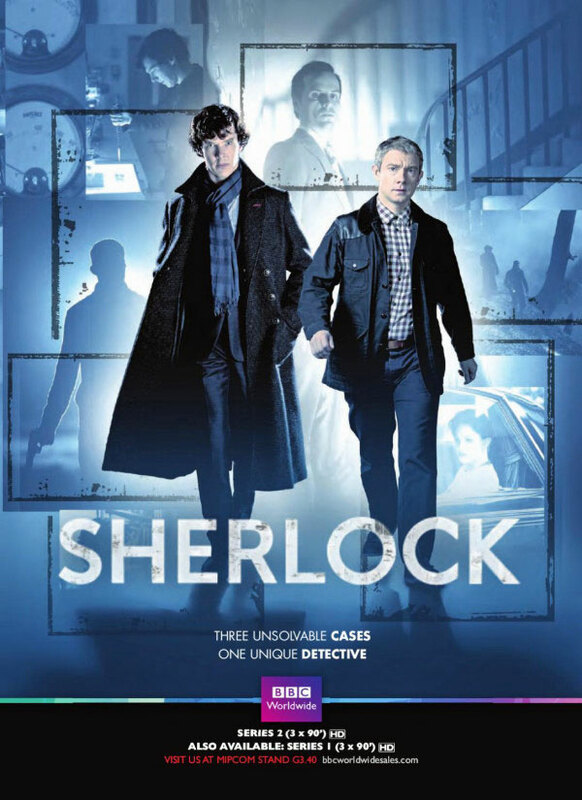 The clues assemble in Sherlock’s mind and he accompanies the cab driver (Phil Davies), who he realizes is the killer. The cabbie explains that he’s been employed by a benefactor to play a game with his victims, challenging them to select from two identical pills, one of which is poison. They will then each take a pill, and one will die. Thus far, the cabbie has never lost, and as he is terminally ill, has no fear of the game. His benefactor will give money to his children for each murder he successfully commits. Sherlock makes his choice, but hesitates in taking the pill. In that second, John (who has trailed them) shoots the cabbie from a window across the street. Sherlock tries to get the cabbie to tell him if he made the right choice, then forces him to tell him the name of his benefactor. The cabbie screams “Moriarity!” before he dies. As the police clean up the crime scene, the man who tried to bribe John appears – it’s Sherlock’s older brother Mycroft, a high-ranking government official. As Sherlock and John walk away, Mycroft orders Anthea to upgrade their surveillance status to grade 3. Thoughts: This is the pilot episode of the BBC TV series Sherlock, which has turned out six episodes in four years, because showrunner Steven Moffat hates us (like the wait between Doctor Who seasons isn’t bad enough). I’ll use it, however, to stand in for the series as a whole for the sake of discussion. Despite the fact that we’ve only gotten six episodes, nine hours of Sherlock as of this writing, it’s quickly become one of my favorite interpretations of the character. Moffat has taken the basic trappings of Holmes and placed it in modern-day London, showing a Holmes that has no qualms about using modern science and technology as a tool to solve crimes. The show makes frequent – almost constant – use of cell phones and computers, and trading Watson’s career as a magazine writer for a blogger is a really nice touch that allows Moffat to keep up the pretense of Holmes becoming a semi-celebrity even in a world where nobody really pays much attention to magazines anymore. Cumberbatch and Freeman are virtually flawless as Holmes and Watson. Cumberbatch has a wild-haired, youthful energy that befits his interpretation of Holmes as a man whose brain functions so far ahead of the world around him that he’s desperate for any distraction to escape soul-crushing boredom. Similar to the cell phone example, Moffat and company have found a lot of nice visual tricks to use to demonstrate how Holmes’s brain is piecing together all of the clues that surround him, but which escape the common mind. Freeman’s Watson, when we first meet him, is a man very much on the brink. He’s been unable to adapt to life outside of the Army, and has a quiet desperation of his own. The most clever bits, however, come when Mycroft diagnoses his ailment: Watson’s therapist believes he’s suffering from PSTD as a result of his war experience. Mycroft, however, realizes that Watson’s feelings of depression aren’t because the war left him scarred, it’s because he misses the excitement. It makes for a fine marriage between Sherlock and John (who call each other by their first names here, unlike most other incarnations), and the two actors have a remarkable chemistry together. What’s great about the structure of a television show, however, is that it allows us to watch this relationship develop over time. In every other version of Holmes we’ve discussed this week, we picked up their adventures long after Holmes and Watson come together. In fact the version in which the relationship is most central (the Downey/Law movie from 2009), we see a Watson who’s ready to move on from that life. This is the first film version we’ve looked at that takes their relationship from its very beginning as Doyle did with his stories. Again, we’ve only had six episodes, but those six episodes have covered a lot of time for the characters, and there’s been a very believable growth and evolution between the two characters. By the end of episode six, when tragedy strikes, the pain we see is true, and genuine, and deeply affecting to the audience as well. The show has picked up on most of the major characters from the Holmes mythos – Lestrade and Mrs. Hudson are there from the beginning, Irene Adler (Lara Pulver) made a great appearance in the season two premiere, and Andrew Scott’s Moriarity was a fantastic, believable threat to Holmes. Each episode has taken one of the original Holmes stories as inspiration, but that inspiration is often extremely loose, providing little more than a jump-off point for a much more contemporary story. And all of that is to the good. Season three is filming right now (or may even be finished, I’m not sure), but as of yet there’s been no announcement from the BBC as to when it’s going to air. If you haven’t watched this show and you enjoy different interpretations of Holmes, you’ve got time to catch up. All six episodes are available streaming from Netflix and on Amazon Prime. You can knock them all out in a weekend marathon. And you’ll thank yourself for it.